Are you looking for good Windows Server provider? On this site you will find some of the best Windows hosting companies offering quality Shared, VPS, Cloud, Dedicated, Managed and Reseller services. Most of host reviews sites claim that there are top 10 providers, but our experience shows that this is not true, and only few companies provides quality services and support. Some of the links below are affiliate links, which means that if you choose to make a purchase, we’ll earn a commission. This commission comes at no additional cost to you. Please understand that we have experience with all of these ASP.NET Hosting companies, and we recommend them because they are helpful and useful, not because of the small commissions we make if you decide to buy something. Please do not spend any money on these products unless you feel you need them or that they will help you achieve your goals. What is a Windows Server hosting? We talk about it when the server OS is Microsoft Windows server. It includes Active Directory, DNS Server, DHCP Server, Group Policy, as well as many other popular features. It comes with IIS web server, and Hyper-V technology. It could be easily managed with Plesk Control Panel with which you could easily create a new user, website, email or database. When we talk about applications and databases we usually talk about ASP.NET and MS SQL server, but you can host PHP and MySQL as well. There are six main types – Shared, VPS, Cloud, Dedicated, Managed and Reseller. With shared plan you will receive just small part of the server resources and one shared server could host above 1000 small websites. VPS or Virtual Private Server includes some dedicated resources of the server CPU, RAM and disk space. The Dedicated server means that you will receive all hardware resources. The Managed services are for those who does not like to manage the server themselves as server updates, backups etc…, but the company will do it for them. The reseller services are for those who like to start a small online business and have their own customers. 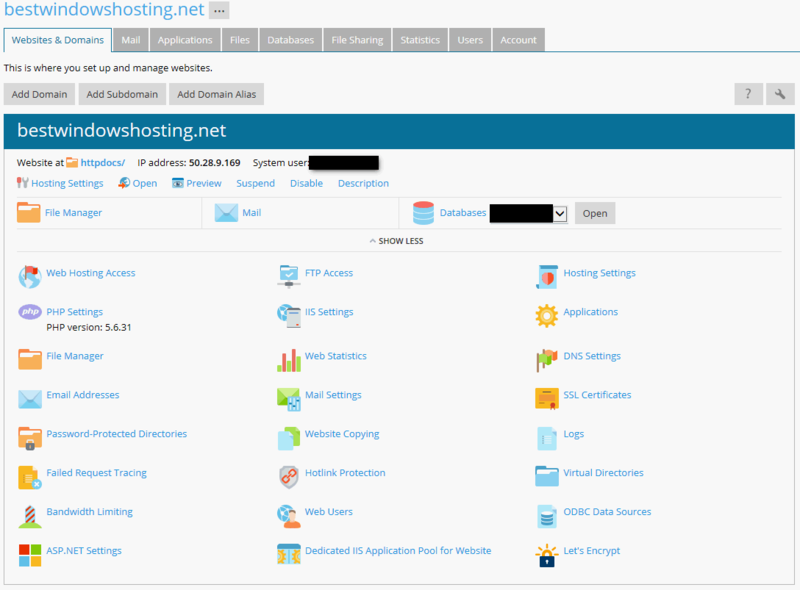 How to host a PHP/ASP.NET website? Many times we have heard the questions “I am ready with my new PHP/ASP.NET web site and now what? How to make it public via Internet?”. The answer is very simple and you will find it bellow. The domain name is something very important. 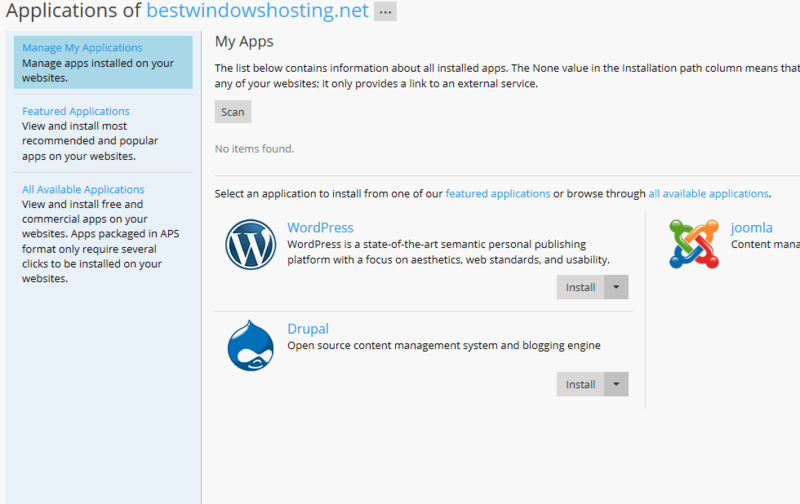 This is your site name and identity, for example our domain is BestWindowsHosting.net. You could consider buying top level domain as .com or .net, or some local as .co.uk (United Kingdom) if you target customers from the specific country. There are 2 options to buy your domain name, to get it from your host (you could do it when you order your account), and to buy it from one of the biggest domain names registers. We prefer the second option, because you could get the domain for better price and to be independent from your host if you decide to move your site to another host after some period. By example you could get a cheap domain name from GoDaddy for less than a $1 ($0.99), because they are the World’s Largest Registrar with more than 60 million domains under management. To check if your name is available you should just enter it in the search form, and if it’s free you could just add it in your shopping card and pay for it via CC or Paypal. This is very easy, but first you should decide what type of service you will need depending on your site/project. If you have just a small personal website or blog or a small company Image website, then you should consider getting a shared plan, which will be the ideal for your needs. 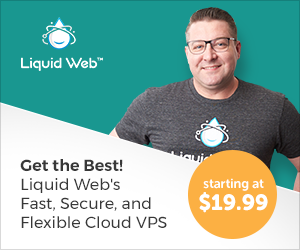 But if you have larger high traffic project or more than 10 smaller websites then you could consider VPS, Cloud or Dedicated server. When you choose your account you will be asked to provide your domain name (Use an existing domain) or to register a new one (Register a new domain). On the next step you should choose the period, as long is the period as cheaper is the price. And on the final step you should enter your personal information and pay for it via CC or Paypal. That is it, now you have an account! Remember that you will have 30 days money back guarantee and you could cancel the account and get your money back if you are not happy with the service. Now we should set the main settings. From here you could create and manage email accounts associated with your website. When you buy a domain name you will get Internet presence and identity, so you could create your email addresses as by example “office, info, yourname @ your+domain+name”. This is very important especially from business point of view, because it means that you are serious and it’s prestigious. So, you should click on Create Email Address link and you will see the following screen when you could type your email address, and password. 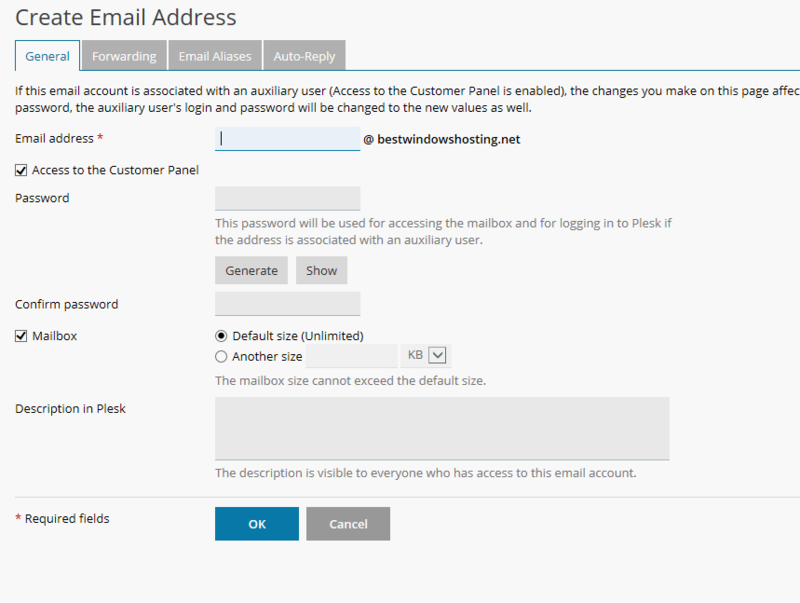 You should also take in mind that if this email account is associated with an auxiliary user (Access to the Customer Panel is enabled), the changes you make on this page affect this user’s settings. Particularly, if you change the email address and password, the auxiliary user’s login and password will be changed to the new values as well. 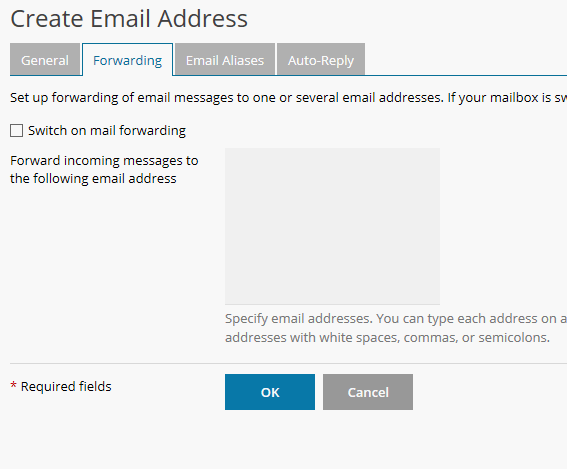 You could also set up forwarding of email messages to one or several email addresses. If your mailbox is switched on under the General tab, then copies of email messages will be kept in it. This is particularly useful if you have a lot of email accounts which you would like to check from one common account, or when one email box should be checked by few persons. From here you could set up access to files of your websites over FTP protocol. 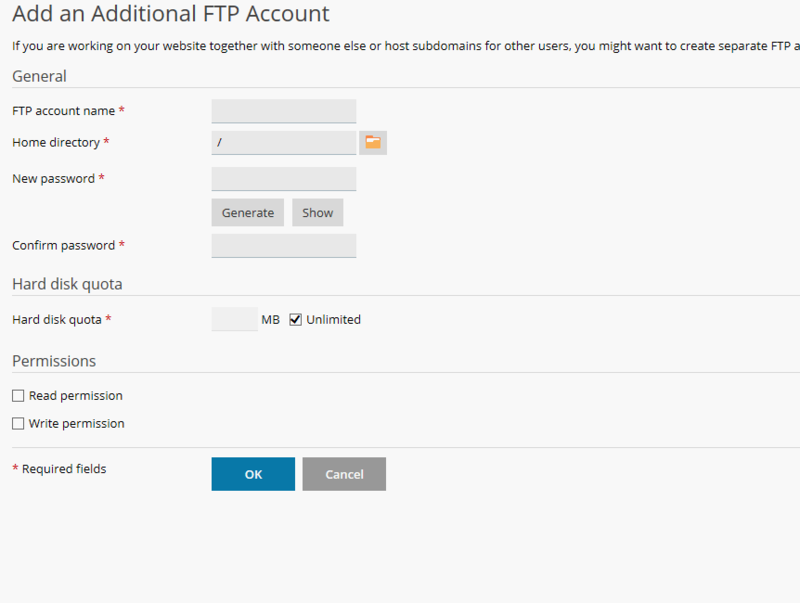 By default you will have one master FTP account which credentials will be same as your control panel username and password, but for security reasons it will be better to create additional FTP account which to use later to deploy your website. So, you should click on “Add an FTP Account” and we will see the next screen when you could enter FTP account name, Home directory (the folder that will be accessed by this account), New password (make a strong passwords using letters, digits and special characters, make it above 8-10 symbols. Avoid using easy guess passwords! ), Confirm password, Hard disk quota (if you want to set a some space limit to this account), Read/Write permissions (if the account could upload, or will able to download files). From this menu you could configure the ASP.NET Framework settings. If you host an ASP.NET website this section will be very important for you. First you could see the ASP.NET version which is set for this domain, and you could change it via the upper link “Change Version”. 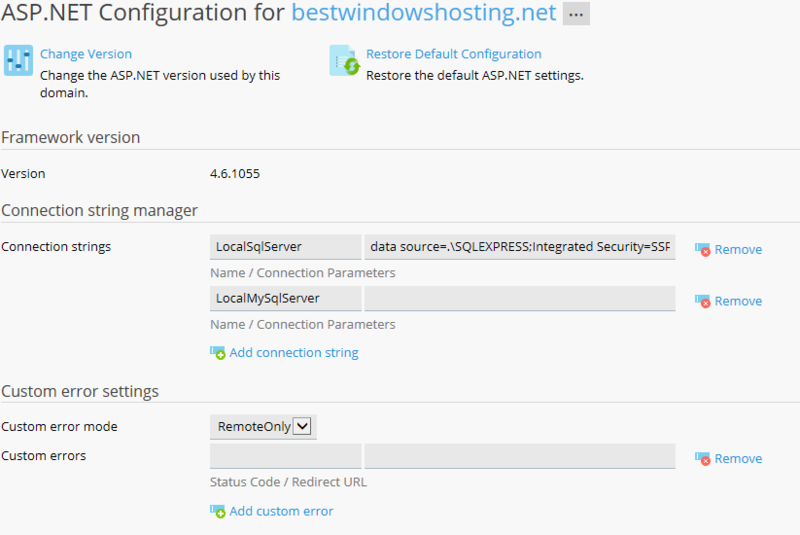 Also there you could see the link “Restore Default Configuration” from where you could restore the default ASP.NET settings. Bellow the .NET Framework settings you will find the Connection string manager section from where you could set your server connection string. After that is the Custom error settings for the Custom error modes: On, Off, Remote Only. This is particular useful if you need to see some error details, but not to show the error on regular visitors. From the Compilation and debugging you could change the Default webpage language and to Switch on debugging. Also you could find the Globalization settings from where you could set the Request/Response encoding and Culture settings. ASP.NET trust level is another important settings which could be set from this page, the options are Full, High, Medium, Low and Minimal. And the last is the Session settings section from where you could set the Authentication mode and Session timeout. 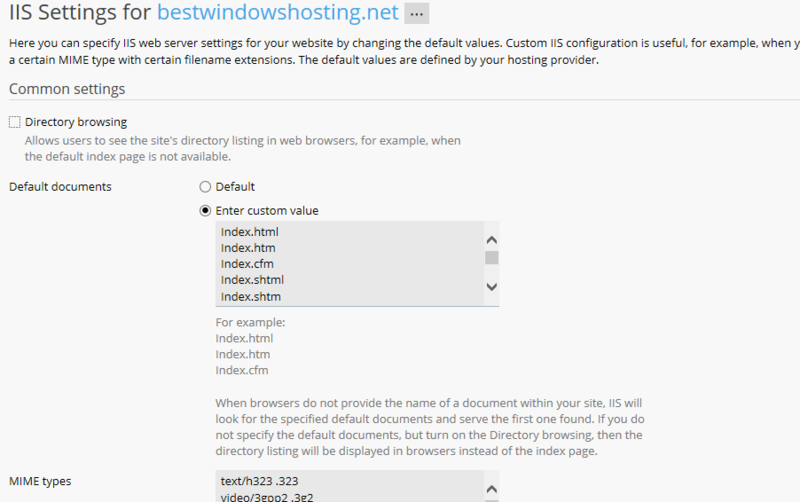 Here you can specify IIS web server settings for your website by changing the default values. Custom IIS configuration is useful, for example, when you want to use a new type of index files on your website or to associate a certain MIME type with certain filename extensions. The default values are defined by your provider. 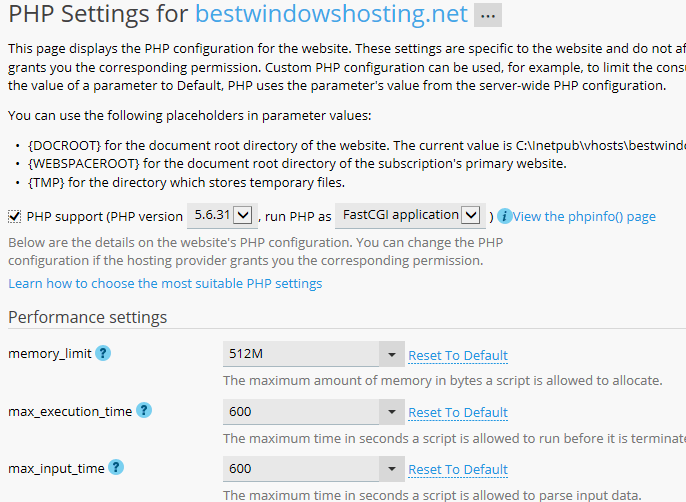 This page displays the PHP configuration for the website. These settings are specific to the website and do not affect other websites on the subscription. You can change the PHP configuration if the provider grants you the corresponding permission. Custom PHP configuration can be used, for example, to limit the consumption of system resources by PHP scripts, or meet the requirements of a certain web app. When you set the value of a parameter to Default, PHP uses the parameter’s value from the server-wide PHP configuration. From this section you could Create New, Upload, Copy, Move, Remove files and folders in your project. Basically you have 3 options, to use the DNS servers of your provider, to setup your own DNS servers or to use the domain name register DNS servers which you will receive when creating an account. To set the DNS servers you should enter into your domain name settings (at your domain register) and to change the DNS servers by typing the new IP addresses provided by your host. 5.2. Using an FTP client (by example FileZilla). 5.3. Using the control panel File Manager. Both choices are good, and usually it depends on the used applications. ASP.NET and MS SQL server are typically hosted on Windows, and PHP/JAVA and MySQL are hosted on Linux.